Feels Good has an interesting vibe; like you've walked into a small neighborhood nightclub. In the back of the shop is the smoking lounge, which is partitioned off behind a glass door. It is fairly spacious in here, but also has a bit of privacy. 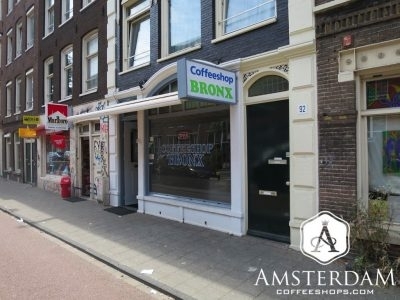 Coffeeshop Bronx is located on Marnixstraat, at the western edge of Amsterdam Centrum and close to the Marnix Bowl skate park. This coffeeshop isn’t a simple take-and-go establishment. It is a neighborhood hangout, catering mainly to local clients. 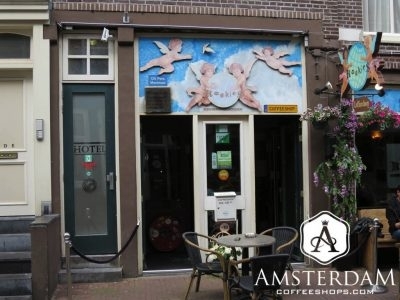 Crush Coffeeshop is located on Marnixstraat, at the southwestern edge of the Centrum. Inside one finds a fairly contemporary artsy establishment. The seating area is fairly large, with low benches against the walls; stools and tables in the center. 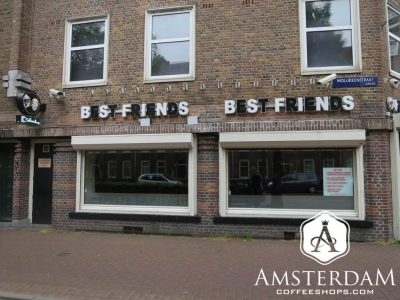 Best Friends Oost Coffeeshop is located in the Indische Buurt, or translated in English, “Indies Neighborhood". Though quite a large building from the outside, at present they are operating as a take away only location. 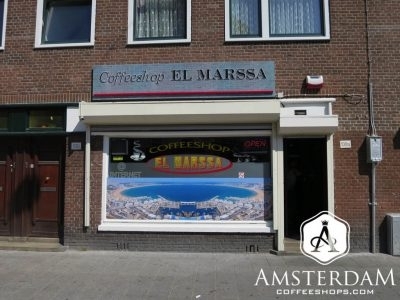 While we wouldn't regard this coffeeshop as large, El Marssa is still fairly roomy. This shop is not especially elaborate or luxurious, but is comfortable and real. This is largely a locals place... people know each other here; but they welcome all. 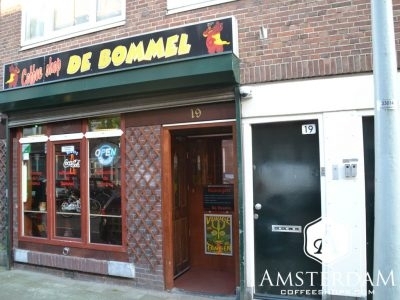 De Bommel translates in English as "The Bumblebee." The shop itself is unpretentious, but comfortable. We’d say traditionally Dutch in its practicality. They are not big on flash, but do have WiFi, a tobacco room, and some retro gaming. The décor inside is contemporary and impressive, and the shop has a decidedly "upscale lounge" feel to it. Super Skunk is actually split into two lounge areas. The front has the counter, which is best described as a futuristic glowing cube. Johnny is a modern shop. Its decor includes cleanly painted walls, contemporary light-colored (wood) wainscoting on the walls, plenty of additional wood trim, and thick white mica counters. To put the look into words, we'd say "high-end clinical". Best Friends Centrum Coffeeshop is found in the De Negen Straatjes section of Amsterdam, which translates in English as “The Nine Streets”. This small neighborhood resides in the inner city’s canal belt, and is known for its selection shopping. Rookies was opened in 1992. The owners were said to be the youngest coffeeshop owners at the time, hence their adoption of the name "The Rookies". 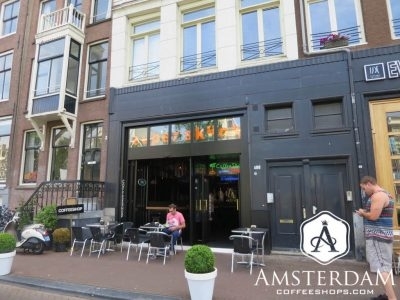 This coffeeshop is a bit larger than it appears on the outside, and has a traditional Dutch vibe to it.